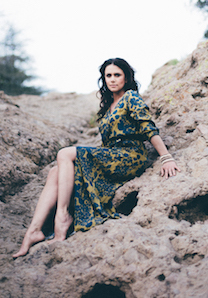 Melissa Ponzio spent most of her childhood clowning it up at school and impersonating her beloved family. Then late one night, she saw Sigourney Weaver in Alien and knew right then and there what she wanted to be…she wanted to be an alien! But they said she couldn’t really be an alien, so on to the next best thing. After high school, Melissa turned all that energy into her acting career. 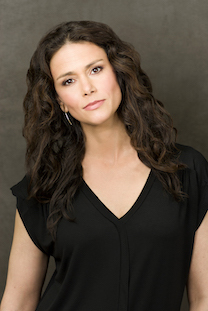 Melissa can also currently be seen recurring as ‘Donna Robbins’ on the hit NBC series, Chicago Fire. Her character caught the eye of ‘Chief Boden’ (Eamonn Walker), and audiences saw their relationship unfold culminating in their Firehouse 51 wedding, and the growth of their family with the birth of their son ‘Terrance’ in the back of the Squad 3 truck. Melissa is perhaps best known for her role as the hard-working and devoted single mother on the hit MTV series, Teen Wolf. After her character, ‘Melissa McCall,’ discovers that her son Scott (played by Tyler Posey) is in fact a werewolf, a new and exciting dynamic for their relationship develops as she helps Scott’s pack investigate various supernatural villains threatening their town and loved ones. As a nurse, Melissa uses her medical knowledge to take care of injured supernatural allies at Beacon Hills Memorial, which over the years became the location of many memorable and pivotal scenes. Teen Wolf’s sixth and final season aired in 2017. 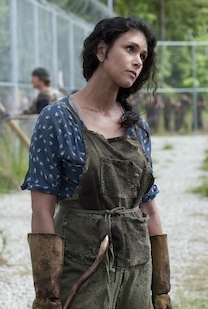 Fans of the breakout AMC drama, The Walking Dead, will recognize Ponzio as original Woodbury resident ‘Karen,’ – the lone survivor of the Governor’s attack on his own army in the third season finale. During the fourth season of the show, ‘Karen’ who developed a loving bond with ‘Tyrese,’ (Chad Coleman) met her untimely, shocking and pivotal demise; a turn of events that reverberated through the remainder of the season. Other notable television appearances include recurring roles on Cinemax’s Banshee, and Lifetime’s Army Wives, as well as guest appearances on The Following, Touch, NCIS, Necessary Roughness, Franklin & Bash, Drop Dead Diva, CSI and the Vampire Diaries. Melissa starred opposite Hilary Swank in the HBO original film, Mary and Martha, directed by Phillip Noyce. Based on a true story, the movie portrays a mother’s fight to eradicate malaria in the developing world. Other film credits include HBO’s historical drama Warm Springs, opposite Kenneth Branagh and Cynthia Nixon, and the Warner Brothers’ comedy, Life As We Know It, with Josh Duhamel and Katherine Heigl. Born in New York City, Melissa lived around the states with her loving parents and younger brother, until settling in Florida for most of her childhood. During high school, she was the over-achieving senior class president, yearbook editor and prom queen all while also being on the swim team. College brought her to her adoptive hometown of Atlanta, where she graduated with honors from Georgia State University with a bachelor’s degree in journalism and a minor in theater. 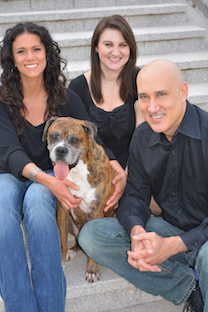 Dog loving, pizza devouring, and always up for entertaining, she is also the co-owner of The Goods Inc. with her longtime partner Kenny Alfonso (kennyalfonso.com).